This is the best through bag I've ever owned. Obviously, it's ultralight, but it's still a great price point. With the rolltop, I'm able to fit what I need for a seven-day through hike and have room for my bear canister. It sits perfectly on my back and shoulders (it comes in different sizes of bag and hip belt to ensure that it fits correctly). It hasn't torn for me despite pretty heavy use, although I've read in other reviews that rough handling means it might tear if caught on something—but that's to be expected with an ultralight bag. It's just really well made, sturdy seaming and beautiful design. Probably my favorite feature is the outer mesh, which expands a LOT to fit last-minute gear but is super sturdy. No rips, tears, or stretching out. My only gripe is that the material on the shoulder straps is a bit rough. I can't wear certain tanks that don't come up toward my neck because wearing the bag for a long time rubs around my inner shoulder/lower neck area. Easily fixed with either a cloth wrap (or bandana) around the strap or wider-strapped tank top. First Gossamer Gear bag, I've taken it on two through hikes (part of kayaking trip) at this point in Florida and North Carolina. It's been in the mountains and in semi-tropical weather. Thanks for sharing your experience with the Gorilla UL, Kendra! I hope you'll keep us posted on how it continues to work out for you on future hikes. I'd love to see some pics of it and its features in your review too. Thanks! There hasn't been a review of the venerable GG Gorilla in quite a while, and several features have changed, so here is a review of the 2013 Gossamer Gear Gorilla size Medium. I have no connection to the company nor received any special consideration. The Gorilla is listed at 26 oz including the aluminum stay and wide hip belt. These can be removed to achieve even lower weight (but with lower load weight capacity). The Dyneema fabric is among the most durable of UL fabric choices. Holds up well to occasional rock abrasions, tree limbs, etc. 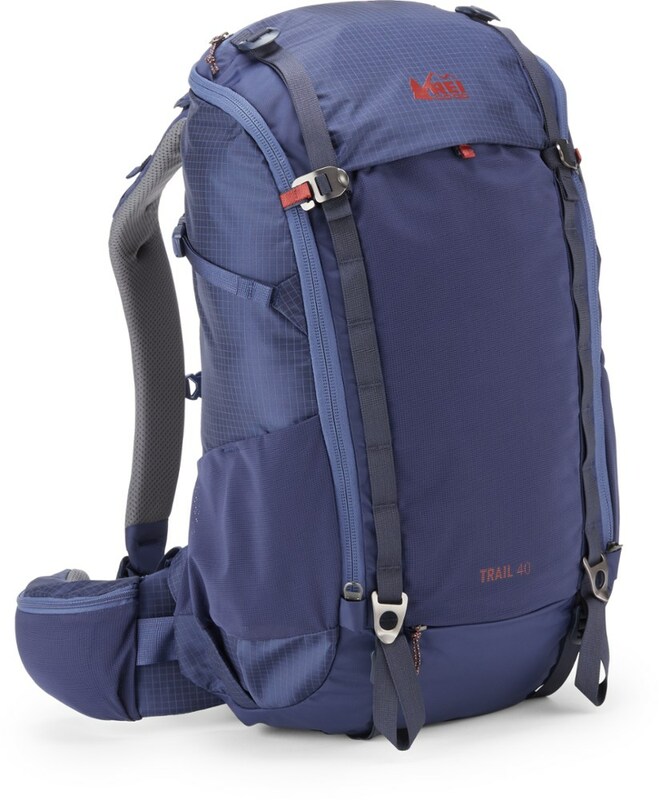 The 46L capacity is a perfect size pack for me. 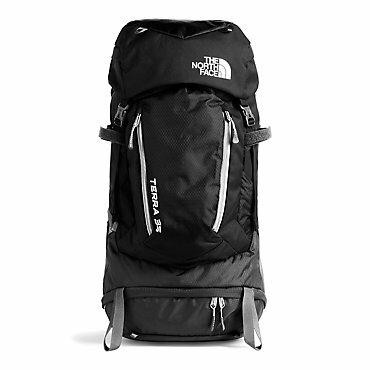 I don't want to have a closet full of packs at 10L intervals, I want one pack that can almost do it all, and this is pretty much the right size -- It can handle a multi-day trip but also isn't too big to use as a daypack or overnighter. The Gorilla has a very comfortable ride. The aluminum stay is curved to match the contours of your back, so it has a way of both hugging your body closely and yet holds very slightly off you, which improves air flow. The sitpad works well against my back. Compared to some other packs of the same size, the Gorilla is relatively shallower and relatively taller. This means that the weight overall carries closer to your center of gravity, enhancing the load and actually making load transfer to the hip belt more effective. The Gorilla also has good pockets. The main front pocket is a typical deep nylon mesh with elastic across the top, versatile for any number of uses. 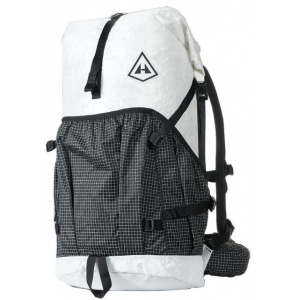 The side pockets are dyneema with elastic cut at an angle for access while wearing the pack. I generally find it difficult to get to a water bottle in a side pocket of a pack while I'm wearing it, and particularly hard to put it back, but the Gorilla I can reach and put back a bottle with little difficulty. New on this year's model (I don't think it was on the 2012) are hip belt pockets, one on each side. These are ample for carrying a point-and-shoot camera in one and a few snacks or some 10 essentials in the other. 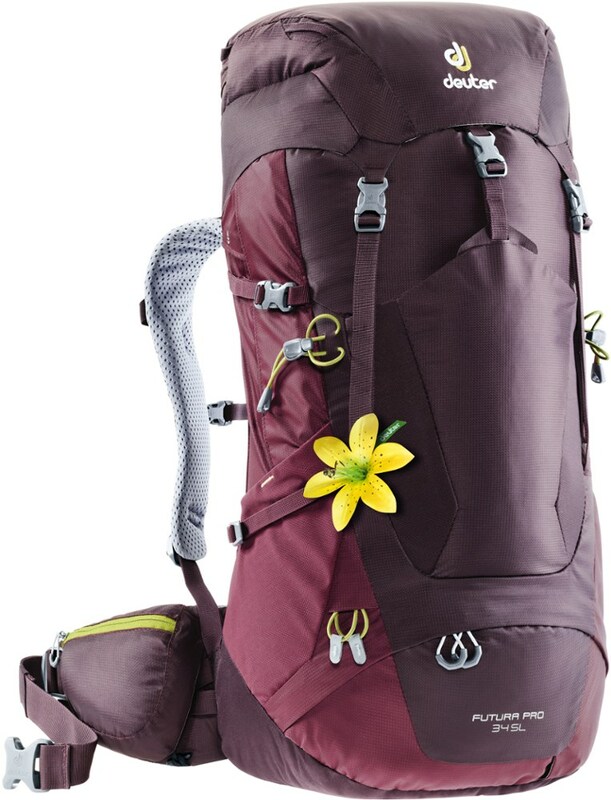 Another change since some of the last reviews here on this pack is that the shoulder straps are padded, they no longer have pockets for you to use spare socks or whatever as padding. Overall the Gorilla is an attractive pack, if that matters to you. 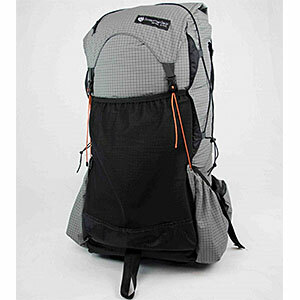 it has a trim, streamlined look, and the light grey dyneema with black and a bit of orange works well. I'm not totally in love with the Gorilla, though, I can find a couple of quibbles. The first quibble I'm not sure is a quibble or not. The Gorilla fits differently at the shoulder strap attachments than other packs. Most other packs the shoulder straps are supposed to come over your shoulder and attaching to the pack a bit below your shoulders, and then load lifters sometimes that attach to the pack above your shoulders to cinch the load closer. The Gorilla doesn't have load lifters, and the shoulder straps are considered OK if they come straight off your shoulder or even slightly up from your shoulder to the attachment on the pack. It seems to me as if they are trying to get the functionality of both the shoulder strap attachment and the load lifter in one. So as I said, it fits differently at the shoulder strap attachments. But the reason I also said I'm not sure if this is a quibble is that the pack feels nice, I can look at the fit in a mirror and the shoulder straps look a bit odd, but it feels plenty comfortable at the shoulders and the load is transferring well to the hip belt. The shoulder straps themselves are also different. They are wider than those on other packs, and at one time there were complaints that the wider straps rode too closely to some people's necks causing chafing, but the straps were widened in I think 2012 and don't ride too close to my neck. The idea I believe is that a wider strap will distribute the pressure and make the strap more comfortable. But that assumes your chest is flat, mine is a bit muscular and I find that the strap doesn't fully conform to my shape, leaving the outer edges of the shoulder straps up off my body. It still is comfortable, but it's not giving me the full performance of the extra width. The pack has an extension collar that also acts as the lid, which is clever but also limits its ability, and I don't think the way GG talks about their pack makes this clear. The sides of the collar fold inward when you connect the provided small buckle (used to be a magnet) and then fold the top over to cinch it down as a water resistant closure. The challenge is that you can't use the full height of that extension collar (GG says you can extend it 9") because if you filled it then you would have no lid/cover over the top of your load, not even a drawstring. The collar IS the lid. So in reality you have a usable collar of 4" maybe 5" if you want it closed. Lastly, there is only one zippered pocket on the pack body, it is on the extension collar so as to be on the "lid" when the top is closed. This pocket holds more than at first it appears it could. But it isn't easy to see into, so if you put a lot of stuff in there it can be hard to find what you're looking for. My old pack had a total of 3 personal pockets, I just prioritized what I put in the lid pocket of the Gorilla and the rest goes in a ziploc that I put on top of the load inside my pack. The GG Gorilla is a solid 4 out of 5 stars, probably more like 4.5. Thanks for sharing your Gorilla review, JRinGeorgia. We've updated the product image to the current version. I just completed 372 miles on the Oregon PCT using my Gossamer Gear Gorilla Ultralight Backpack, which I bought last month. This is, hands down, the best ultra-light pack I have ever used. My last pack was one of the last Golite Breeze packs, which I loved. When I lost that pack in a burglary, and needed a new pack with less than a week's notice, I went for the Gorilla because it seemed like the most simple, light, durable pack on the market at the time. I was not disappointed. 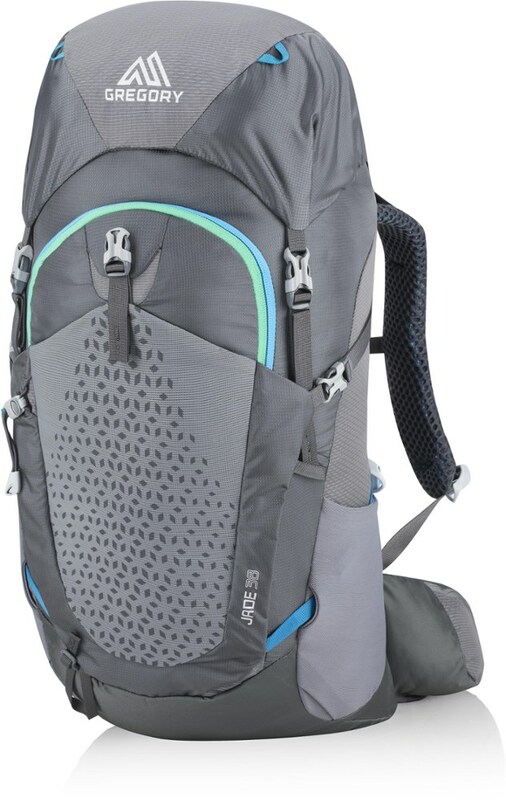 Although this pack would not pass muster with the ultra-light purist, weighing in at more than a pound with an aluminum internal stay, it more than makes up for this in comfort on the trail. On its maiden voyage, I hiked an average of 33 miles per day on the Oregon PCT, between Siskiyou Summit and Mount Hood, carrying an average load of 25 pounds (base weight 10 pounds). I did not use a hip belt. On no more than three occasions did I suffer from shoulder fatigue or rashes, which I frequently experienced with the Golite Breeze (also without a hip belt) over the course of 1200 PCT miles south of Oregon. The real innovation of the Gorilla (and other internal frame Gossamer Gear packs) is the shoulder straps, which are thin, long, and wide, and somehow very ergonomic. Combined with a well-ventilated back panel (two foam pads with mesh covering), this yields a very superior carry. It's like you are not even carrying a pack. If you are looking for a worthy replacement for your blown-out, used-up, or rodent-chewed Golite Breeze (no longer made unless you buy the Ray Way kit) then the Gorilla is a superior choice, as it combines very light weight, large capacity, simplicity of design, and potential for belt-less use, a combination not found in any other pack that is currently available, as far as I know. The only design flaw I am aware of is the long strap that is used to lash items to the top of the pack. This strap blocks that large external pocket, so I might move the strap above the pocket. Overall, the Gossamer Gear Gorilla rocks my world, and I look forward to many more miles using this tough, elegantly simple, and comfortable pack. Get one and have a look for yourself before Gossamer Gear stops making it, or ruins it through "improvements, " as I have seen happen to so many other awesome products by other companies. Happy packing. For ten years, I hiked everywhere with a Kelty Cloud backpack that finally just wore out. I felt like I had lost a best friend, because the pack had sort of molded to my torso and I wondered how I could ever replace such a personal fit? I live in Seattle and made the rounds of all the backpacking stores and tried over a dozen packs and mail ordered six more, including several Keltys. I finally settled on Granite Gear Nimbus and left on a six-day trip through the North Cascades. I have always had low back issues and unfortunately the frame sheet design puts a lot of pressure right in the wrong place for me and it was a very long six days and I dreaded putting that pack on. To Granite Gear's credit, they were kind enough to give me a full refund. So back to a now refined search, I stumbled onto Gossamer Gear's website. What intrigued me the most was their aluminum stay which was somewhat similar to Kelty's that had worked so well for me. Most manufacturers are unfortunately going to a mesh fabric stretched over a frame, which looks an awful lot like the old external frame design I used to carry in Boy Scouts and I was glad to give that up a long time ago. I called Grant and asked him if the internal frame could be bent away from my lower back and he said sure. So I ordered the pack and since I used to be a professional mountain guide, Grant was kind enough to give me a pro discount. The first thing I noticed when I opened the box was how light it was. Its like holding a jacket in your hand. I showed it to everybody I could think of and ever person who held it in their hands, marveled at how "light as a cloud" it felt. It was a snap to bend the bottom of the stays out from my back. I just slid the frame out and bent it over a round log. I'm sure I could do this on the trail too, although it's feeling pretty good and I am probably done adjusting. I love the super wide shoulder straps. So far. having been on four long day hikes, with heavy Fall wet weather gear, a thermos of soup and three water bottles, I often just loosely clip the waist-belt because the pack rides so comfortably and is so light, I don't need the hip weight transfer. I like the choice of the closed cell foam pad against your back, either waffle or flat side out. The large mesh pocket in the back is the ideal size for a jacket or tent. I also keep an emergency space blanket in there, its good to sit on if its wet. The side mesh pockets are a great combination of the right size and stretchiness. A brilliant design is the Y strap which pulls over the top of the pack, with one simple click the pack is fastened. I had never traveled without a top zippered pocket and after one trip, I realized how much easier rolling the top of the pack and fastening with the Y strap is. The three outside pockets provide all the access storage you need. I'm 5'10" and bought the large pack, which technically is a little big for me but it fits and rides great. I added a large hip-belt pocket and one shoulder strap for my sunglasses. My only wish list for this pack is that it come in a choice of colors. I will be doing several multi-day hikes next summer with my middle school and high school children. The very first thing I am going to do is buy both of them their own Gorilla pack, so if you see a group of three with identical packs trekking in the Cascades, that will be us! 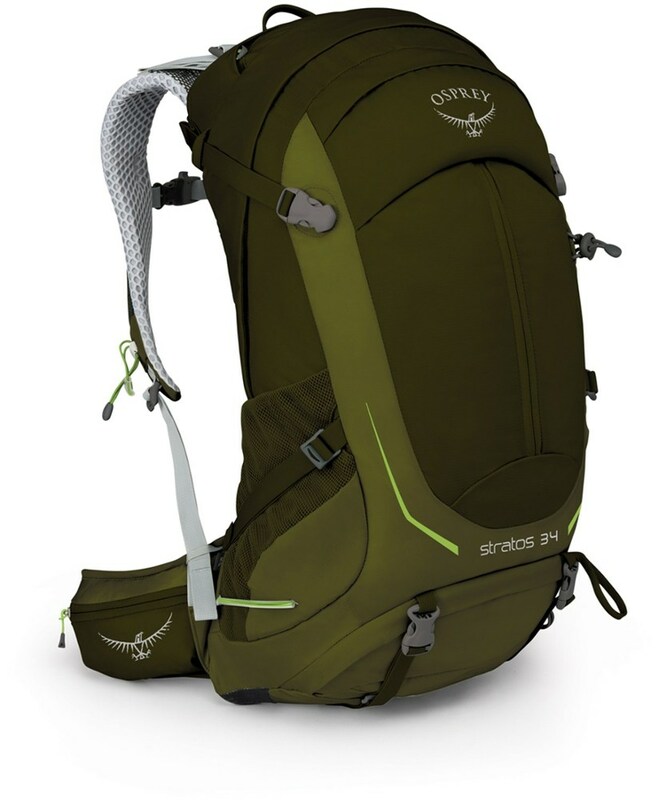 The finished quality, attention to detail, amazing design and ultra light weight, for a pack that can carry up to 35 pounds, make it a must have for anybody that travels into the mountains. It appears I have found a new "best friend." Max. Load Carried: 25 lbs.. Height of Owner: 5ft. 9in. This is without a doubt the most comfortable pack I have ever put on my back. I can't think of one negative thing to say. The Gossamer Gear Gorilla Ultralight is not available from the stores we monitor. It was last seen August 31, 2015	at Gossamer Gear.